Swizz Beatz, Usher and Ludacris exemplify a trend among hip hop stars to bypass conspicuous bling consumption for the serious acquisition and promotion of visual art. And Swizz Beatz (nee Kasseem Dean) is particularly fervent in spreading the love and knowledge of visual art among his cronies. 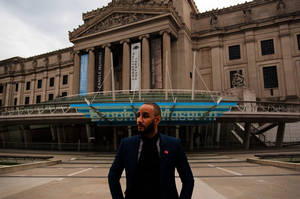 Recent developments in the hip hop/fine art intersection are the election of Kasseem Dean to the Brooklyn Museum Board of Trustees on October 22, 2015 and the listing his New Jersey mansion for sale in August 2015. 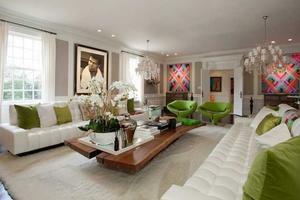 Dean and spouse Alicia Keys plan to build a home expressly designed to house a growing art collection. 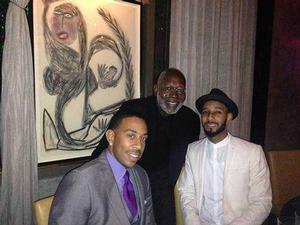 In August 2013, Kasseem Dean led the bidding for a Thornton Dial drawing (valued at $12,000) at a dinner to benefit Ludacris’ foundation. Atlanta art advisor Jerry Thomas, who auctioned the art work, was delighted that the bidding was so “heated” — particularly because a Swiss watch, also valued at $12,000, was the other auction item. 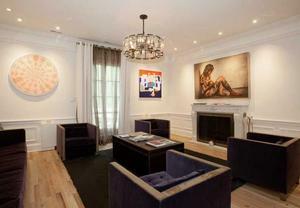 With bidders including “millennials” and “NBA wives,” the art trumped the bling, says Thomas. “Once the bidding for the Thornton Dial work rose to $25,000, Swizz said, ‘I bid $30,000. I’m taking it home,’ " Thomas recalls. With this acquisition, Kasseem Dean established a record high for a Dial work on paper. Thomas believes that Kasseem Dean will be a “tremendous asset” to the Brooklyn Museum Board of Trustees. He also commended Usher’s five-year service (ending in 2013) on the board of Atlanta’s Woodruff Art Center which is the parent organization of the High Museum. “Swizz and Usher have the power, and a platform through their music and their wealth, to reach where no museum director can,” says Thomas. Jerry Thomas also noted that Usher leaped at an opportunity to buy the first piece from a Romare Bearden show which opens on November 13, 2015 at the Alan Avery Gallery in Atlanta. Organized by Thomas, the show will be one of the largest presentations of Bearden’s work at a gallery outside of New York City. Kasseem Dean’s passion for visual art runs deep. Born in 1978, Dean was inspired by graffiti art and taggers growing up in the hip hop crucible of the South Bronx. That rebellious streak got him in trouble. Dean most likely will have the distinction of being the only member of a major, U.S. museum board who had to leave high school for getting into too many fights. Soon after leaving high school, he relocated to Atlanta and found a creative outlet for his rebellious spirit at Ruff Ryders records. Dean’s public comment on the board election was humble: “I can’t believe this amazing blessing,” he tweeted. 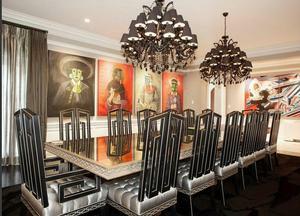 His visual arts interest extends to design and the design experience often connects with fine art. For example, Dean wore a shirt emblazoned with an image of Jean Michel Basquiat to the 2011 announcement of his Kamikaze shoe design for Reebok. A running account of Dean’s art and design interests on his Instagram page includes photos of him and artists Mickalene Thomas (“Me and Mickalene at the Brooklyn Museum podium chilling”) and Chuck Close (“Great evening with the legendary Chuck Close at the opening reception of the Zhang Huan [exhibition]”). Attending the Pace Gallery show of the contemporary Chinese artist Zhang Huan indicates the breadth of Dean's art interest. In 2014 Kasseem Dean launched The Dean Collection initiative that creates a point of access and learning opportunities for young art enthusiasts based on his impressive and ever-growing collection of contemporary art. Honored for his art advocacy, Dean received the prestigious Gordon Parks award in 2013. Dean is currently enrolled at the Harvard Business School, and works closely with many charitable causes with a particular focus on children, including Keep a Child Alive, co-founded by his wife Alicia Keys. While to some, Dean might have seemed an unlikely trustee choice for a major art museum, he’s a natural fit for the Brooklyn Museum. A leader in exhibitions that connect popular culture (and particularly hip hop culture) and so-called “fine art,” the Brooklyn Museum has mounted exhibitions such as The Rise of Sneaker Culture (Jul-Oct ’15); GO: A Community Curated Open Studio Project (2013); Graffiti Basics (2006), Hip-Hop Nation: Roots, Rhymes and Rage (2000) and solo shows for artists associated with hip hop culture such as Kehinde Wiley and Jean Michel Basquiat. Dean’s strong arts advocacy includes encouraging rappers to learn about, and to begin collecting, visual art. Jay Z is one of the better known rappers who benefitted from this relentless push. Dean’s proselytizing on behalf of art has taken many forms. References to Jean-Michel Basquiat in raps by Jay Z, Lil Wayne and others are in large measure due to Dean’s ongoing art appreciation instruction. The Basquiat nods in raps are often also allusions to creativity and struggle. In recent years, Dean has made a special effort to promote contemporary artists whose works are still accessible in price to a broader range of collectors and who need and deserve the recognition. At SCOPE, Miami, December 2014, the Dean Collection presented such artists (e.g., Swoon, Cleon Peterson, D*Face, Lyle Owerko, and Sandra Chevrier) throughout the fair, rather than in a single booth. 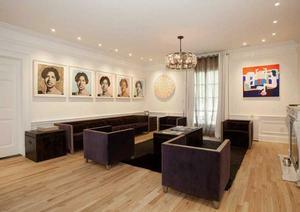 Collecting such emerging artists actively is part of the reason why Dean and Keys decided to put their New Jersey mansion on the market and to build from the ground up to accommodate their-ever growing need for wall space. In his interview with Matthew Giles for Vulture, Dean insists that the works at his and Alicia Keyes’ former New Jersey estate is not about show and impressing people. And he demonstrates an exceedingly well-informed appreciation of contemporary art. Having reached a pinnacle in the music industry, Kaseem Dean wants to make art a primary calling at this juncture in his life. And now, as an art museum trustee, Dean can further advance his gospel of art while boosting the museum’s mission to reach broad audiences. Dean himself excitedly crowed about his evangelizing intent in a Wall Street Journal article: "I want to be able to pull out my global Rolodex... (to help take) art to the next level…". With Kaseem Dean's board appointment, the Brooklyn Museum is well-positioned to be at the vanguard of moving fine art into the dinner conversations of every imaginable type of diner. Related IRAAA+ article: Making Art of Song, an article on Walter Lobyn Hamilton whose artwork adorns the set for Lucious Lyons' home on Fox TV's Empire program.